Developing the cultural capacity of Cardiff Metropolitan University students through internationalising the curriculum is a key theme in our learning and teaching strategy. As such, our Psychology Study Abroad Week went a long way toward achieving this. 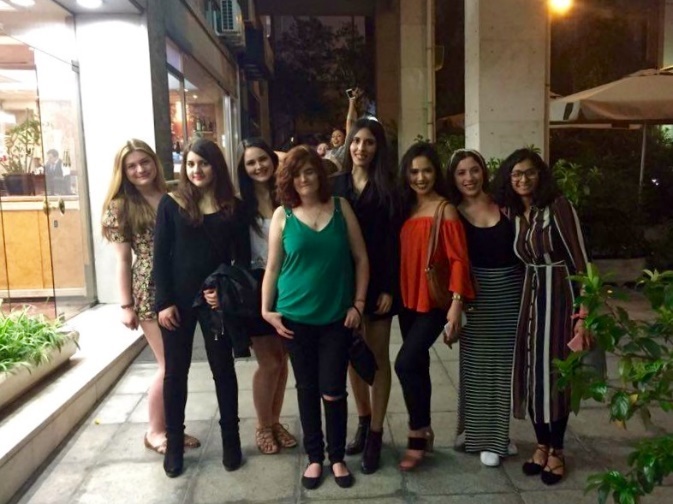 Dr Clare Glennan and Dr Tina Alwyn accompanied 11 Psychology students from Levels 4,5 and 6 to Athens during the Easter break. City University College (CUC) and our Cardiff Metropolitan students integrated very well and discussed the importance of culture and diversity within the discipline. CUC and Cardiff Metropolitan students developed relevant presentations and delivered these through joint symposiums. There was debate about internationalisation and what this meant for the students and how their future careers in Psychology would be influenced by these factors. The staff from both universities met and discussed how internationalisation could be facilitated through shared experiences, teaching and joint teaching. All in all this was an enriching and enjoyable experience for all involved. I am a second year Cardiff Metropolitan Student, who was accepted to go on the Psychology Study Abroad week. This took place in City Unity College (CUC) Athens in April this year. 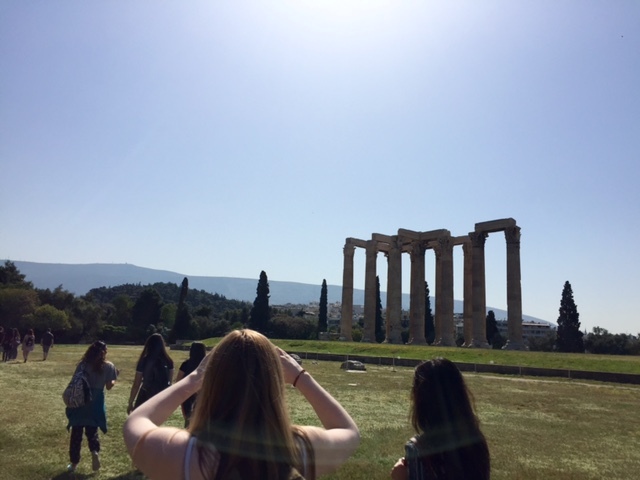 It was an amazing experience, amongst the many highlights were the cultural historical sights and exploring the amazing city that it Athens; it helped that it was 24 degrees and bright sunshine! At first when I was told we were going I was very excited but the thought of sitting in on lectures and contribute to a symposium was daunting and I even thought It might have been a bit boring. 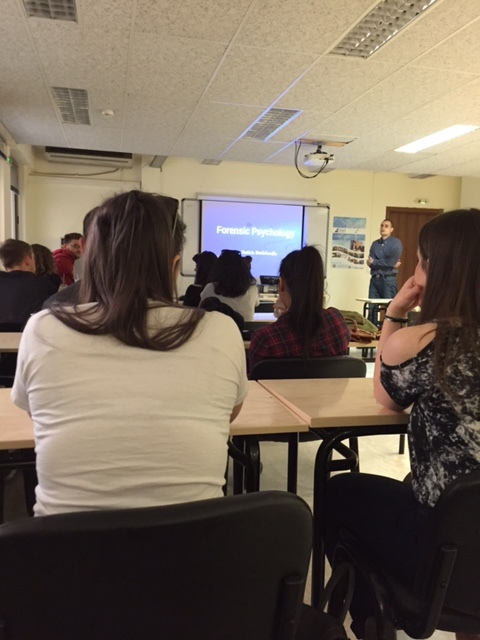 However I could not have been more wrong, the lecturers were fascinating, and we were particularly impressed by one who presented a lecture on forensic psychology. The symposium was also really great. It was interactive and offered such an eye opening experience in how both cultures view each other and themselves. 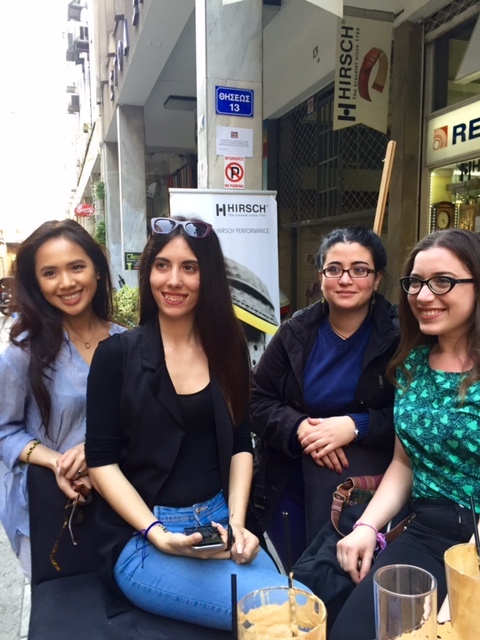 It was also an excellent opportunity to meet the Athenian students who are studying the same Psychology degree. They were all so welcoming and friendly and we had a real laugh with them and bonded really well. The trip gave me a real insight into how other cultures live, it was fascinating to see first-hand the everyday lives of people from another culture. I feel I have been able to apply this into my work; thinking critically about psychological research and its applicability to other cultures. I was also really taken a back at how close all of the students that went on the trip became. 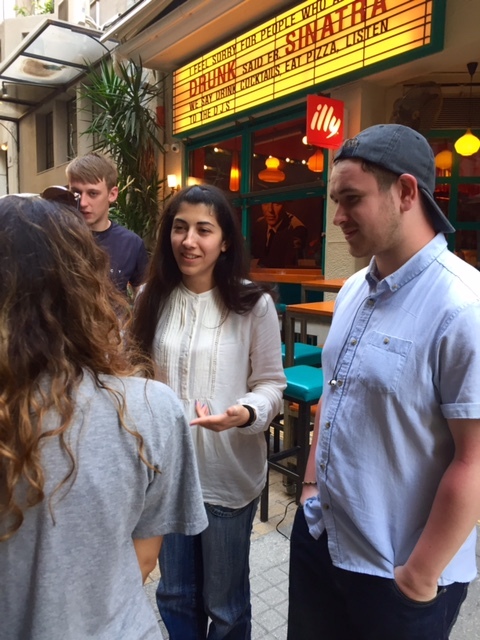 It was an opportunity for Cardiff Metropolitan students from across all levels to come together and bond as a group. 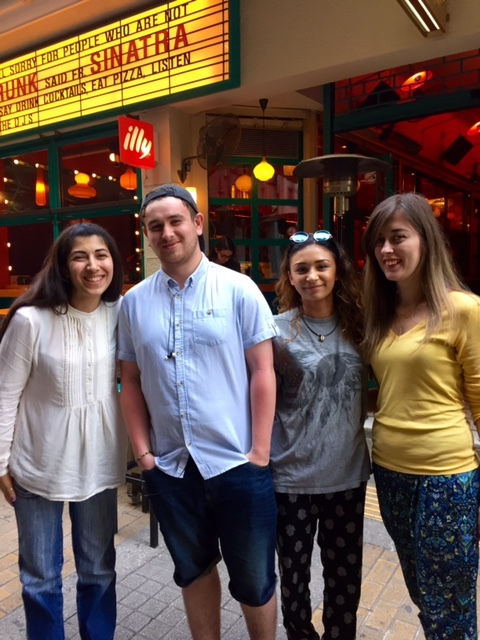 It was also lovely to meet the Athens student, some of whom I have stayed in contact with and will probably remain my friends for life. If I could recommend you do one thing this year it would be to apply for the Athens trip! This year I was able to attend the Psychology study abroad week, it was amazing experience and I thought I would share with you! Firstly, I really enjoyed the lectures, considering psychology from a different perspective was so interesting. During our visit we were able to present at an Internationalisation Symposium. In preparation our lecturer split us into groups and each group were assigned a task. The focus for my group was looking at the impact of child poverty in Wales and illustrating from a psychological perspective, how poverty can impacts upon the individual. The symposium and the visit in general highlighted the importance of culture to me especially after the internationalisation discussion and this has helped me so much with my academic understanding of culture, especially when considering social psychology. 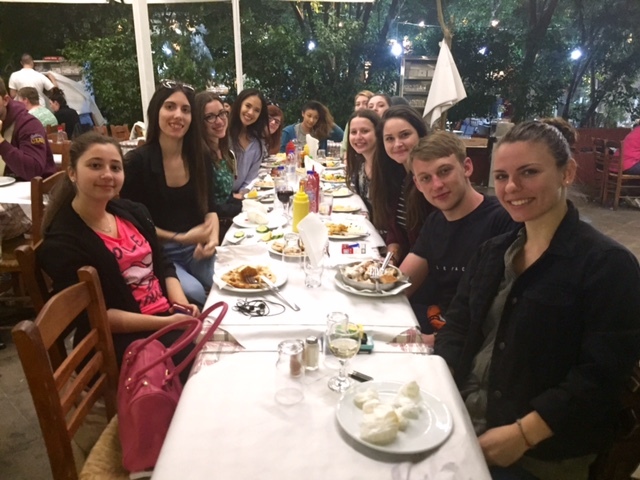 The Greek students and lecturers made us feel so welcome at the CUC and it was really nice talking to them about their psychological interests and ideas. This really helped spark some ideas from my dissertation for next year! Finally, the group of Cardiff Met students we went with were amazing, we all got on so well and we have all stayed in contact, speaking almost every day! The trip was a great way to meet people in higher and lower years as I was able to give advice to the L4 students but also seek advice for module and dissertation ideas from the L6 students. Thank you so much for the opportunity to attend, I really enjoyed it and found it such a valuable experience! We look forward to further trips to build the relationship with Athens and to allow more students to experience psychology in Athens!